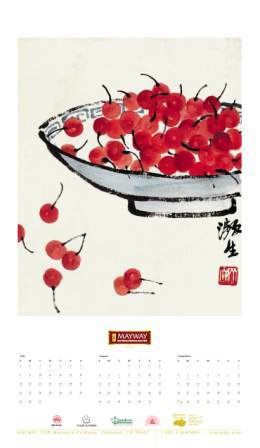 Please join us in celebration of Chinese medicine at Oregon College of Oriental Medicine’s 6th Annual Cherry Blossom Gala on Saturday, April 7, from 6:00 PM to 9:30 PM at Castaway Portland, 1900 NW 18th Street (at Upshur). 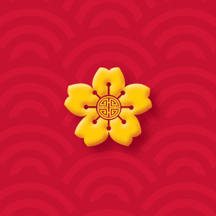 This year's theme, "The House of Good Fortune," is sure to inspire great company and good luck. Enjoy a lively cocktail reception, Chinese-inspired dinner, live Chinese music, the "Sparkle Lounge" with free Swarovski ear crystals, Chinese calligraphy, "Laughing Buddha" Photo Booth, the Lucky Wheel, Money Tree, the ever-popular Wine Wall, Golden Ticket Raffle, and silent and live auctions full of unforgettable experiences! We have incredible support from our sponsors, who include: American Acupuncture Council, Beam Development, Columbia Bank, Heritage Bank, Kaiser Permanente, Miller Nash Graham & Dunn, NW Natural, Oregon Reproductive Medicine, The CHP Group, Thede Culpepper Moore Munro & Silliman LLP, and US Bank. During the dinner program, we will honor the extraordinary Joe Coletto, ND, LAc, for his 33 years of teaching and inspiring students at OCOM. Joe has been a teacher and mentor to all 1,550 OCOM graduates, so together we will celebrate his dedication, inspiration, and leadership. Single guest tickets are $125 and tables for 10 are $1,250. OCOM alumni tickets are $100, and student/faculty/staff tickets are $75. OCOM Alumni: With the purchase of an Alumni ticket, please join us at 10:00 AM for the complimentary same-day CE with Sharyn Allyson, DAOM: “Wei Wu Wei: Exploring Daoist Principles and Business Concepts.” Learn more. A chance conversation with a wheelchair-bound patient led to OCOM’s recent acquisition of new adjustable treatment tables in its clinics, offering patients with severe health issues and mobility challenges improved access to acupuncture and Chinese medicine treatments. The college’s student interns now have treatment tables that can be adjusted for treatments specific to movement-challenged patients, as well as the convenience of the practitioner. Last October, the Firstenburg Foundation​ gave OCOM $15,931 to purchase 10 ADA-compliant, electronically-adjustable treatment tables. EarthLite​, the table manufacturer, agreed to discount the cost of the tables by more than 40 percent. Over the December class break, OCOM’s clinic and facility staff cleared out the old stationary treatment tables and installed seven of the new tables in the Old Town Chinatown campus clinic and three in the OCOM Hollywood Clinic in northeast Portland. When student interns and patients returned in January, they found over half of OCOM’s treatment tables had been upgraded to ADA-compliant, electronically-adjustable tables. In that initial conversation with the patient, she had reported that acupuncture and Chinese medicine treatments helped her manage her pain and other serious health issues, but that it was challenging for her to get those treatments. With a limited income, she relied on OCOM’s clinics for low-cost care. However, the clinics’ lack of fully adjustable ADA-compliant treatment tables was problematic. She described the effort required to move her from her wheelchair to a disassembled treatment table at floor level. Student interns providing her with care had to do so while on their knees. She said she often felt embarrassed by this elaborate, troublesome process. This patient’s particular story helped the college recognize a need in its own facilities and was the impetus for OCOM to confer both with patients with serious mobility challenges and student interns to identify how to better accommodate everyone’s treatment needs. The “Enhanced Access” project’s goals are to provide patients with severe health issues and mobility or movement challenges with improved access to acupuncture treatments by providing the equipment needed for patients to transfer themselves onto treatment tables and receive needed care, as well as enhancing the hands-on educational experience of OCOM student interns. While this acquisition’s resulting benefits include OCOM’s student interns now being able to treat patients on tables that are easily adjusted according to the needs of the intern and the particular treatment being provided, interns now have access to a more diverse patient population — mobility challenged patients — which directly enhances their clinical and educational experience. This gift serves the ultimate goal of acupuncture and Chinese medicine treatment, to resolve or alleviate a patient’s health issues, resulting in greater independence, more self-reliance, and an improved quality of life. 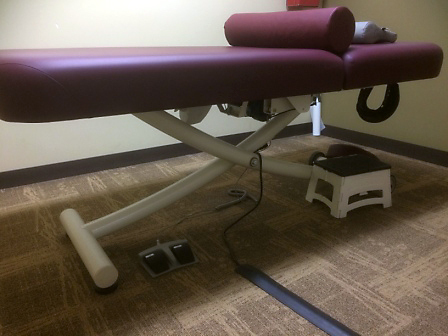 In March 2016, thanks to an individual’s donation in honor of his daughter, OCOM purchased, installed, and put in use its first adjustable, ADA-compliant, ergonomic, electronic lift treatment table at its on-campus OCOM Clinic. This single table had an immediate, positive impact: between July 1, 2016 and June 30, 2017, OCOM provided 479 treatments on that table, prioritizing patients with severe health issues and mobility/movement challenges. There were, however, many more such patients needing access to such customizable equipment than could be accommodated with a single such table. Now, thanks to the Firstenburg Foundation, OCOM has a total of 11 ADA-compliant, electronically-adjustable tables with which to provide treatments. The “Enhanced Access” project has additional funding proposals pending with other foundations, aiming to replace all of the college’s existing treatment tables. The Firstenburg Foundation invests in community nonprofits that make a measurable difference within southwestern Washington and the Portland metropolitan area, communities formerly served by First Independent Bank, which was founded by Edward W. Firstenburg. The Foundation supports the legacy of Edward W. and Mary Firstenburg, that of improving the economic conditions and quality of life within our community. The Board of Trustees of Oregon College of Oriental Medicine (OCOM) cordially invites nominations and applications for the appointment of the next President of OCOM. Founded in 1983, OCOM is the number one ranked acupuncture and Chinese medicine college in the nation. We are a single-purpose professional graduate school whose defined values — excellence, leadership, healing, innovation, community, and service — guide OCOM’s two degree programs and distinguish our graduates as they lead the way forward in the transformation of health and healing. The mission, vision, and values are fully described on the college’s website. To apply or share the job announcement, please find a detailed job posting here. Candidates for the OCOM Presidency should have a track record of exceptional leadership in a senior administrative role, demonstrable expertise in strategic partnerships and donor development, financial management, strong management and team-building skills, and an earned advanced degree (doctorate preferred). Excitement for the mission of OCOM and a belief/understanding of Chinese medicine’s impact on integrative health care. Passion for education and the overall success of students. Ability to understand the financial, enrollment, and other challenges/opportunities that tuition-dependent institutions such as OCOM face. Skill to manage, meet, and measure institutional goals (financial, quality, mission). Experience in managing the financial stability and aspects of an organization. Ability to develop, articulate, and implement a sustainable vision for the institution through continued strengthening of academic programs that provide the institution a sustainable competitive advantage. Creative in their ability to identify competitive advantages or new revenue opportunities for the institution. Understands the trends in integrative health care and the overall health care ecosystem. Experience in the development and successful execution of a strategic plan. Collaborative and transparent leadership style, with the ability to make decisions for the institution’s greater good. Ability to inspire and unite diverse constituents around a distinctive vision. Demonstrates success in leading an organization through a time of change. Understands the benefits of continually improving institution processes, and systems to optimize resources and quality. Record of recruiting, developing, and retaining a strong leadership team while holding them accountable. Record of achievement in university advancement and alumni relations or a demonstrable ability to be successful in these areas. Experience creating and nurturing relationships/partnerships with external organizations and constituents to advance the mission of their institution. Portland, OR — For the fourth year in a row, Oregon College of Oriental Medicine (OCOM) received a $15,000 grant award from Kaiser Permanente Community Benefit Programs supporting access to acupuncture care for low-income patients in the Portland metro area. This gift comes at a crucial time for expanding availability of alternatives to opiates for chronic pain management. Thanks to Kaiser’s support, OCOM will provide low-income community members $15 acupuncture and Chinese medicine treatments for qualifying individuals. Enrollment in the program, Expanding Health Care Access to Low-Income Patients, begins in January 2018. Qualifying individuals will be eligible to enroll for five $15 visits until October 2018 or program funds are exhausted. OCOM’s affordable sliding scale fees of $25-$35 continue to apply throughout the year for all patients in need of access to care. Grant recipients are also eligible for the “OCOM Cares” program in the Medicinary, allowing them to purchase herbs at a 10 percent discount. Analysis of patient survey data from 2017 grantees shows that those who receive at least five treatments at our clinics get better. Among low-income patients who received a course of five treatments, 96 percent reported having chronic conditions, with 96 percent among them reporting that their conditions improved. Ninety-nine percent of patients reported they were “extremely” or “very” satisfied with their treatments. Thirty-seven percent reported they did not use the emergency room due to access to health care at OCOM funded by this grant. 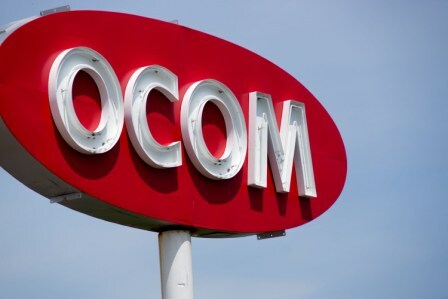 OCOM is a 35-year-old nonprofit graduate institution that operates two Portland-area teaching clinics: one in the Old Town Chinatown neighborhood and another in the Hollywood neighborhood of northeast Portland. OCOM’s Chinese medicine teaching clinics served over 3,500 patients in 2017, 62 percent of which self-identify as coming from low-income households. As a member of the Coalition of Community Health Clinics, the college is committed to contributing to the safety net of health care access for the underserved. Additional information about the program and a downloadable application is available by calling OCOM’s Patient Services Team: OCOM Clinic, 503-445-0950 or OCOM Hollywood Clinic at 503-281-1917. Kaiser Permanente is committed to helping shape the future of health care. We are recognized as one of America’s leading health care providers and nonprofit health plans. Founded in 1945, Kaiser Permanente has a mission to provide high quality, affordable health care services and to improve the health of our members and the communities we serve. We currently serve more than 10 million members in eight states and the District of Columbia, including more than 540,000 medical and 250,000 dental members in Oregon and Southwest Washington. Care for members and patients is focused on their total health and guided by their personal physicians, dentists, specialists and team of caregivers. Our expert and caring medical and dental teams are empowered and supported by industry-leading technology advances and tools for health promotion, disease prevention, state-of-the-art care delivery and world-class chronic disease management. Kaiser Permanente is dedicated to care innovations, clinical research, health education and the support of community health. For more information, go to: kp.org/share. 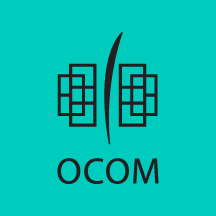 OCOM’s mission is to transform health care by educating highly skilled and compassionate practitioners, providing exemplary patient care, and engaging in innovative research within a community of service and healing. Over 1,500 graduates practice, teach, and research Chinese medicine in 50 states and across the globe, and have provided an estimated 10 million treatments over the past 35 years. Additional information about our programs is available at ocom.edu. 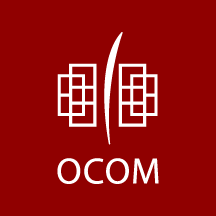 The Mayway Corporation — a family business that has been importing and distributing traditional Chinese medicine since 1969 — has selected OCOM to be the beneficiary of their popular calendar fundraiser. These 20" x 33" 2018 calendars are still available. Buy at the OCOM Bookstore! All Proceeds Benefit OCOM! You pay $10 for a calendar and OCOM will receive $10 for medical supplies needed for treatments delivered to individuals from low-income households. In August, lawmakers passed a major expansion to the education benefits for U.S. military veterans. This bill eliminates the 15-year time limit on the use of education benefits for new recruits among other changes that expand veteran access. How do these changes affect someone considering a career in acupuncture? The OCOM Admissions team sat down with the college’s Registrar, Carol Acheson, to learn more. I have a prospective student who has just retired from the Army and now has the GI Bill with Voc Rehab. She has her undergraduate degree from about 20 years ago under the former GI Bill and would like to know more about the process should she be admitted to OCOM with the Voc Rehab aid. She will need to go to her Voc Rehab representative and start the paperwork with them, the Veterans Administration. Once she has her paperwork completed and accepted by Voc Rehab, the rep sends me authorization to bill them. I then create a VA file for her and sign her up with the Veterans Administration. Once, the government site for reporting her credits each term. See their VA rep and obtain requisite paperwork and qualifications to receive Voc Rehab. When the prospective student receive this authorization, they send their paperwork to you (the Registrar). Meanwhile, they can still apply to OCOM and, if admitted and their Voc Rehab qualifies, then OCOM/you will bill Voc Rehab VA for tuition and any other accompanying expenses for their education at OCOM? Do you know how many OCOM students are currently utilizing the GI Bill? We have six current VA students; five are master’s students and one is a doctoral student. Out of the six, two of them will be graduating at the end of August. Is there anything that our current OCOM students, who are using VA benefits, need to remember to do to continue their benefits? I don't think there is anything the VA students need to remember for their benefits. Student[s] should remember that there is an educational tuition cap each school year and if OCOM tuition rises above that amount, then students have to pay the difference of what the VA does not cover. This usually happens in the summer as the VA considers August 1 as the start of the school year.